Redland Rambles | You are what you eat. Do you eat where you are? DATES: October 15 and 16, 2016, 9:30 a.m. to 4:30 p.m. ADMISSION: $10 cash per person at the gate. Advance tickets $8 online until Oct. 12 at Brown Paper Tickets . Military families can get free tickets at www.VetTix.org . Redland GrowFest! returns for the fifth year to the Fruit & Spice Park October 15 & 16, 2016. This annual event celebrates all local things edible, green, and growing. 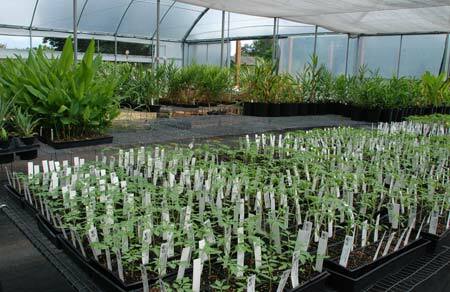 Growers offer a bonanza of seedlings, starter plants and native and tropical fruit trees for home or school gardens and food forest projects. Food and artisan vendors feature products made with Redland-Raised ingredients, like the festival’s signature jackfruit curry. Bee Aware! is this year’s festival theme, highlighting our pollinators, so essential for many crops. The Tropical Beekeepers Association, this year’s event beneficiary, will be on hand to share information about beekeeping from the hobby to the professional level and their educational projects. The club meets the second Tuesday of each month at the Redlands Community Church. Organic grower and festival organizer Margie Pikarsky, owner of Bee Heaven Farm, believes it’s important for folks in the South Florida area to be aware of our diverse local agricultural resources, and learn how to take advantage of the unique possibilities our tropical climate offers. The Chefs’ Local Cookoff Challenge on Sunday, joined this year by a similar Students’ Local Cookoff Challenge on Saturday, asks renowned local chefs and students to get creative with a Mystery Box full of Redland-Raised seasonal crops. Awesome deliciousness results from their inspired dishes! Lectures and demos throughout the weekend by UF/IFAS/Miami-Dade County Extension agents, 4-H, Master Gardeners, and other local experts will inform growers at all levels – from balcony to backyard growers, urban, small and large farmers. Event sponsors include Dade County Farm Bureau, Edible South Florida, District 8 Commissioner Daniella Levine Cava, UF/IFAS Miami-Dade County Extension, Homestead Hospital, FIU Agroecology Program, Slow Food Miami, Greater Miami Convention and Visitors Bureau, Fresh From Florida/Redland Raised, Bee Heaven Farm and the Fruit & Spice Park. For more information and schedule of activities, visit the Redland GrowFest! web site. Creating an Edible Forest on a Permaculture Model. Jim outlines various layouts and strategies for incorporating perennials into a traditional growing layout, providing a more natural, stress-free food production area. Human beings have been doing this — prior to modern industrial agriculture — for millennia, from the birth of human kind on the savannahs of Africa. Selling Your Crop: Tips for Small Producers. Calling his techniques “guerilla marketing,” Jim gives tips for small producers to increase sales through various strategies — cheaply! — using social media, targeting markets and objectively weighing and maximizing options for one’s unique situation. A former organic farmer, Jim serves or has served with numerous ag, food system and environmental organizations, and is currently on the administrative council and a member of the executive committee of the 15-state Southern Sustainable Agriculture Research and Education (SSARE USDA) program that serves Florida. He is the author of seven books, including Conscious Food: Sustainable Growing, Spiritual Eating. I came across a unique opportunity one day last spring, as I drove around Redland. I had been living in the area for roughly a year, dreaming of starting my own organic farm and homestead. Farming had been a hobby of mine for some time and although my projects had been confined to small plots, I was driven by big ideas. I wanted more experience, working with the land and learning how to turn my love of farming into a possible business. I had recently visited Robert Barnum of Possum Trot Farm to gather fruit and art supplies from his 40-acre grove of rare and useful trees. While I was there, I decided to ask Robert if he needed an apprentice or knew of any opportunities to learn more about farming. Luckily he said yes. He mentioned a New Farmer Apprenticeship Program offered by Florida International University’s Agroecology department, funded by a USDA grant. I got in touch with the program director and applied right away. The New Farmer Apprenticeship Program included a variety of monthly workshops and 100 hours of field experience. I attended workshops on topics like beekeeping, laurel wilt disease detection, how to apply for farm loans, grants and more. I got to meet many young, prospective farmers with similar goals as mine and the same insatiable thirst for knowledge. For my fieldwork I chose to go to Bee Heaven and Possum Trot, both established Redland farms within 5 miles of my home. Sheryl and her two boys, attending Farm Day 2013, at Bee Heaven Farm. I started out with Margie Pikarsky on her 5 acre certified organic Bee Heaven Farm. I had been a member of her highly recommended CSA program for about 4 years and had attended events there with my family. I was familiar with the farm and knew I had a lot to learn from Margie. We had spoken many times about our favorite plants, our adventures with chickens and other things when I’d pick up my produce every Saturday. I knew she ran a very organized and well-managed farm but I didn’t know exactly what was involved until I had the chance to work side by side with her and her staff. I got to experience part of the busy CSA season, how all the orders came in, were distributed and then prepared to take to market. Some days we’d work in the packinghouse and fill hundreds of orders, other days we’d work out in the field harvesting or preparing the beds for new crops. Everything about her farm is carefully planned out, solidified by many years of experience and held to a very high standard. I likened her operation to a well-oiled machine, always recalibrating to the whims of Mother Nature. Then I switched gears, moving on to what would be an unforgettable experience at Possum Trot Farm with Robert Barnum. I had heard many stories about the 40-acre wonderland from friends of mine and after visiting a few times, my interest was piqued. Robert’s collection of rare, edible and useful tree species is quite special. The mix of mature trees living there are the result of many decades of work, collecting, preserving, selecting and sometimes naming new varieties. He proudly refers to himself as a land steward of the many fruits, nuts, hardwoods, citrus and more that he has cared for throughout his life. For me and the other apprentices that worked there, Possum Trot was an ideal outdoor classroom and Robert’s unique approach to mentoring was a one of a kind experience. Each day was a new adventure. One day we’d be identifying trees, harvesting or cleaning up the nursery, another day we’d be attending an auction, repairing equipment or cooking up interesting meals in his kitchen. Every conversation was educational and I’d say that I definitely learned more than I bargained for! The overall message I gleaned from my time at Bee Heaven and Possum Trot confirmed what I knew but in my hopeful naivety had not accepted. Farming for profit, no matter what angle you come at it, is hard work with unpredictable returns and a multitude of political obstacles to navigate. In my opinion farming has got to be one of the most underappreciated and underpaid professions out there. Don’t get me wrong, there are many successful farmers out there, making a living and making a difference. In no way do I mean to undermine them, but for the most part, the industrial food system (big agriculture) has stacked the odds against local, small farmers. In a way it has forced them to be more innovative. There is a growing trend to eat local and organic, to avoid GMOs and packaged foods. We’re getting back to the basics of fresh, nutrient rich foods like our great grandparents enjoyed. Our health as individuals and as a culture depends on it. Maybe more importantly than the effect our food system has on people, are the long lasting, possibly irreversible effects that conventional farming practices are having on the environment. Small scale, intensive farming has been proven to be more sustainable over time when compared to conventional single crop farming. Widespread uses of chemical fertilizers, pesticides, herbicides, and fungicides have been described by many as an attack on the living world. Conventional farming practices not only pollute the air, water and soil but also pollute the bodies of all living things. Turning a blind eye is not an option. I wasn’t able to complete my apprenticeship with FIU for personal reasons but I did greatly appreciate the chance to get a behind the scenes look at some of the farms and farmers I had come to admire over the years. The experience did however alter my plans of starting my own organic farm in Redland. 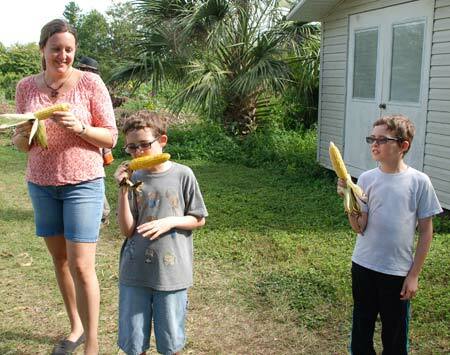 After meeting some second-generation farmers in the area and hearing their stories of growing up in Homestead, I questioned whether it would be the best thing for my family. I had to ask myself, “Was farming the kind of future I wanted for my children? Was starting an organic farm a sound investment that I could manage with predictable returns?” My answer to both was an unfortunate no. I decided that I was content to be an avid collector of plants and trees, a small scale, backyard farmer and a supporter of local food. I get to work out my big ideas and make a positive impact in other ways. I feel like there is a lot of work to do in this area in what might be the most important shift of our generation: Transitioning from being mass consumers to abundant producers, reworking our value system into something that directly benefits us rather than distracts us, utilizing our land in ways that support our health and wellness without disrupting the ability of the natural world to support all life for generations to come. Like I said, big ideas and while we’re at it, why not reinvent what it means to be a farmer in a changing world. 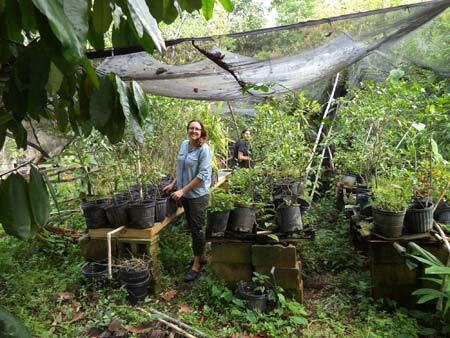 The New Farmer Apprenticeship position through FIU’s Agroecology Program addressed just that. It was a valuable experience for me that helped shape my future plans and solidify my understanding of the local food system where I live and beyond. All stereotypes aside, farmers have the job of feeding us all. It’s a big responsibility and they deserve our support! Eat up! 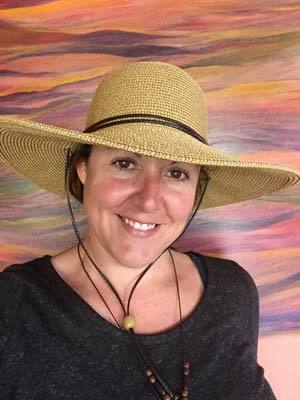 Sheryl Dutton currently lives in Miami with her family and works as a Permaculture Designer, specializing in the design and installation of tropical fruit groves, edible forest gardens and small kitchen gardens. Sheryl is the owner of Earthscape Art & Design and is available for consultations. All Day – Florida Department of Agriculture & Consumer Services, Division of Plant Industry – Learn about the Redland Oriental Fruit Fly (OFF) quarantine, Giant African Land Snails (GALS) and Agro-Terrorism initiatives. Officers will be on hand for anyone needing to sign a compliance agreement. 1:30 pm – 2:30 pm Home Composting – Adrian Hunsberger, MS Urban Horticulture Agent/Entomologist/Master Gardener Coordinator. Workshop participants will receive a voucher (one per household) for a free compost bin valued over $100. (Pick up your bin at Solid Waste, address will be provided.) Advance registration not required. 2:30 pm – 4:00 pm Rain Barrel Workshops – Barbara McAdam, PA, Florida Yards and Neighborhoods Program. (Workshop is free, but advance registration required to reserve a rain barrel @$40). Register here for Saturday. 1:30 pm – 2:30 pm Chef Cookoff Challenge – 5 top chefs + limited ingredients + a mystery box of locally-grown food + 3 judges = a recipe for exciting creations with the unique foods of South Florida. 2:30 pm – 4:00 pm Rain Barrel Workshops – Barbara McAdam, PA, Florida Yards and Neighborhoods Program. (Workshop is free, but advance registration required to reserve a rain barrel @$40) Register here for Sunday. Earlier in September, I conducted an email interview with farmer Margie Pikarsky about the Oriental Fruit Fly quarantine, and how it impacts the Bee Heaven Farm CSA and the upcoming Redlands GrowFest! 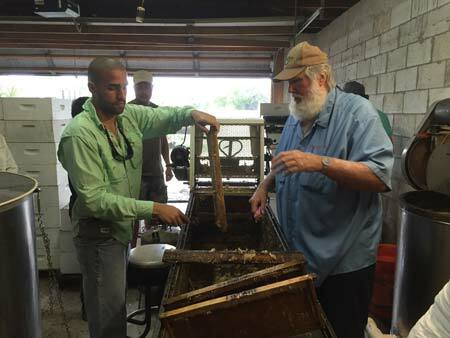 Q: How does this quarantine affect Bee Heaven Farm and the CSA? What are you growing that’s affected? MP: Luckily, this is just as farmers are gearing up for the start of the winter growing season, there is not much exposure to row crops, and plenty of time to put preventive treatment programs in place before harvesting begins of susceptible crops like squashes, tomatoes and beans. We are starting treatment with Spinosad as soon as we can get our hands on it, beginning the 30-day countdown. 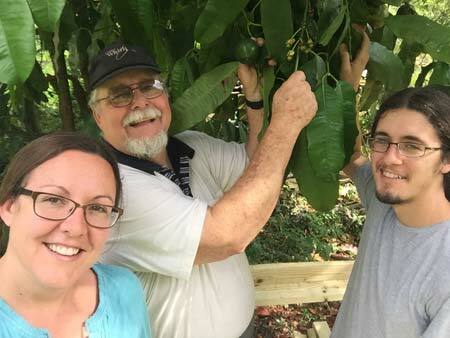 As far as BHF, we’re essentially done with avocado harvest. Carambolas will be dehydrated, seagrapes are already harvested and frozen awaiting delivery, items previously harvested were already delivered. Guavas will be pulped and frozen or dehydrated, allspice berries have been harvested and frozen. I don’t anticipate much problem with the CSA. I have to take precautions with incoming listed items (they are kept in protected storage, coolers are sealed), offloaded when they’re going to be packed, and packed and transported in a protected manner, in a sealed truck). Listed veggies include squashes, tomatoes, eggplant, peppers, beans. Q: How does the quarantine affect the upcoming Redland GrowFest!? 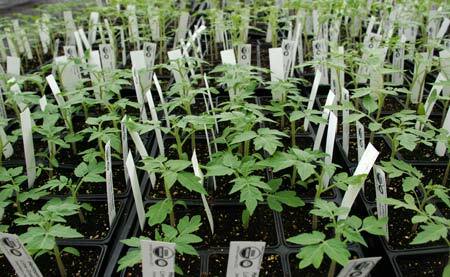 Seedlings and fruiting plants that are currently NOT bearing fruit are not controlled. So we can sell our seedlings with no problem. Fruit trees, as long as they are stripped of any fruit (no matter how tiny), can be sold as well, so GrowFest! will be able to go off with minimal disruption. 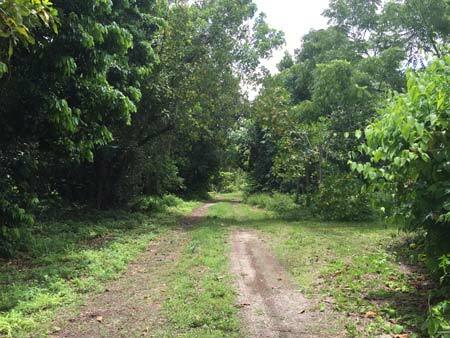 In fact, listed items coming in from outside the quarantine area (currently, Health and Happiness Farm, Verde Farm, and Paradise Farms, for example, are outside the QA), can be sold, as long as they are protected. Displays can be protected by using a screened enclosure or other covering (this applies to fruit stands). The screening cannot touch the fruit, and the mesh has to be <4mm. I’m sure we’ll think of creative ways to pre-pack/bag listed items, but remember a lot of things like baby greens and herbs, for example, will not require any special handling. Q: How long is this quarantine in place? MP: The quarantine is in place for a minimum of 2 life cycles of the fly. First one is 30 days, second one is 32. If a third is needed, it would probably be 45 days, as their life expectancy lengthens with lower temperatures. Q: What do you and other growers in the quarantine area have to do? MP: Everyone within the quarantine area is asked to meet with FDACS OFF eradication program inspectors and enter into a compliance agreement, which spells out what they need to do. There are separate sections for growers (including homeowners), harvesters, packers, shippers, processors, lawn service/tree maintenance, sellers and dealers, charity (gleaners, soup kitchens), etc. If you are outside the quarantine area, it’s business as usual, except that a) you have to protect any listed product going into or transiting through the quarantine area, you cannot receive listed product grown within the quarantine area without proof of treatment and compliance, and it must arrive fully protected (safely enclosed). If you are inside the quarantine area, you cannot move listed product off your property unless it has been treated. There are 2 options: a) pre-harvest treatment for 30 days (with no positive finds near you during that time), or b) post-harvest treatment. Post harvest treatments are limited here. Organic growers essentially have only the pre-harvest treatment option open. Chilling is an option, but unrealistic, except perhaps for carambola. There are a couple of other possibilities. You can consume the items on-site. You can process the items (freeze, dry, cook, grind), and then they are free to move off-farm and out of the quarantine area. Other options that may be available to non-organic growers may include a combination of cold and fumigation, but it looks like only a fumigation treatment is available for avocados, as they cannot take cold storage in the temps or times required. TREC is looking at some short treatments. If they achieve kills and they can replicate the results, they may be able to approve it. Q: Where did they find the fruit fly, and when? MP: The core of the quarantine area is 1.5 miles around the positive finds. They are pretty much within about 1/2 mile of each other, roughly centered around 100-200 Avenues between 180-188 Streets. In these areas, multiple male flies were trapped (the highest something like 45 in 1 day). There were a couple of locations where larva were found. There was a female trapped as well. 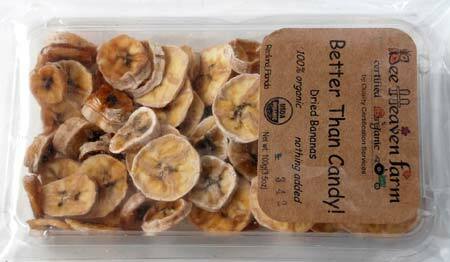 In the areas around positive finds, anything on the list is stripped of fruit. The fruit is disposed of in an approved manner that prevents contamination. Traps to catch females are set. Soil surrounding positive finds is drenched with an approved pesticide (there are three, one of which is a Spinosad product approved for use in organic production), and surrounding trees are sprayed with the treatment (which is a bait). Male pheromone traps and female yeast traps re placed in the area. Utility poles are also sprayed up high. The OFF is a strong flyer. Q: What else do CSA members and farm customers need to know about the OFF? MP: The biggest single thing I’d say is: unless it’s already processed (jams and jellies, baked in bread, etc) don’t give away fruit, don’t accept fruit from someone else. Don’t say “I’m going to take this because it’s fine. Look, there’s no bugs on it! He’s my friend and I know he takes care of his plants. One will be OK.” No. This fly doesn’t care how well you take care of your plants, and you can’t see the eggs inside the fruit. It has no natural enemies here. This is ONLY for a limited time. It’s imperative we get rid of this fly. It’s absolutely the worst pest. I’m sure most folks have heard about the Medfly – well, the list [of host plants] for that is maybe 20 lines long. The list for this fly is 13 PAGES long! Every fruit you can imagine is on it, every fruiting vegetable is on it, and many ornamentals too – even Ylang Ylang, for example. We cannot allow this fly to become established here, because if it does, it will be truly devastating. So everyone tighten their belts for a couple of months and work together to do this.